I wish I had reviewed my 2016 mantras more frequently than in January and now. So this 2017, I’m going to try again to pick a mantra, write it down, post it around my workspace and my home, and use it. And I’m going to just pick one, not make a whole list of them. 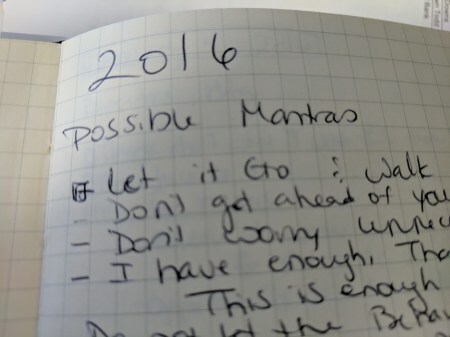 Do you have other ideas for mantras or resolutions? Let us know on Twitter at @nspntweets. Comments on "Try a Mantra for 2017"